Texas residents who want to buy their first homes can get help from the Texas Department of Housing and Community Affairs, or TDHCA. The state’s My First Texas Home loan program includes down payment and closing cost assistance. The program’s low-interest rate loans are offered through a network of participating lenders. These are among the best, as determined by NerdWallet research. These lenders emphasize the human touch and strive to make the loan process go smoothly. Has 180 affiliated loan stores nationwide for borrowers who prefer to speak face to face. Offers a wide range of mortgage options, including FHA, VA and USDA loans. Low volume of customer complaints. Offers closing-cost credits to qualified low- to moderate-income borrowers. Has a low incidence of consumer complaints. Customers of these lenders may start the loan process and upload documents using a mobile app. Seeks to serve customers with nontraditional credit, employment and income sources. Begin the loan application within the Pronto app and upload documents electronically. Has a Spanish-language version of its website. Mobile app aims to simplify loan application and tracking. Provides FAQs and a mortgage glossary. These lenders welcome borrowers who want low-down-payment mortgages backed by the FHA and VA. Specializes in first-time home buyers and state housing agencies. Emphasizes FHA and VA lending. Services the loans it originates to maintain relationships with its borrowers. Extensive educational material available on the Homebridge website. 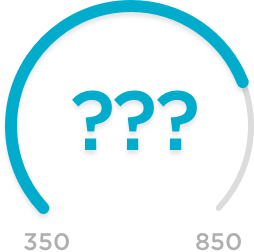 Minimum credit score of 550 for government-backed loans. Costco members may qualify for discounts on loan origination fees. The following are some of the highest-volume lenders that participate in TDHCA first-time home buyer programs. They have not been reviewed by NerdWallet. Website has calculators, answers to FAQs and a mortgage glossary. National lender headquartered in Texas. More than 25 locations in Texas. Prequalification can be started online. Website includes calculators, FAQs and a mortgage glossary. Offers FHA, VA and USDA mortgages as well as conventional loans. Lends in over 30 states and headquartered in Texas. Reduced interest rate for disabled veterans under the Texas VLB mortgage program. Outlines the steps to buying a home and offers a homebuying guide. Offers FHA, VA and USDA loans as well as conventional mortgages for first-time home buyers. Website has several loan calculators. LoanDepot: Best for low volume of customer complaints. PrimeLending: Best for closing-cost assistance. Alterra Home Loans: Best for borrowers with nontraditional credit. Fairway Independent Mortgage: Best for a variety of loans. Guild Mortgage: Best for servicing the loans it originates. Homebridge Financial Services: Best for educational materials on website. Supreme Lending: High-volume TDHCA participating lender. Cornerstone Home Lending: High-volume TDHCA participating lender. AmCap Home Loans: High-volume TDHCA participating lender. Gateway Mortgage Group: High-volume TDHCA participating lender.